As grand as the name might suggest, Versailles Lavender Earl Grey Tea is a French take on an English classic. This scented Black Tea not only offers trademark citrusy flavours brought out from the essence of bergamot, but also boasts a wonderfully floral taste of French Provence Blue Lavender. A truly special blend consisting of high-grown Ceylon Orange Pekoe, Versailles Lavender Earl Grey Tea will transport you to the lavish banquet halls and vast, beautiful drawing rooms of the renowned French Palace known throughout the world. Traditional Earl Grey is usually made with Chinese Black Tea as opposed to Ceylon Tea. In fact, China is largely thought to be the home of Earl Grey Tea, not England. Like many teas to originate from China, Earl Grey has mysterious origins. Historians believe that black tea leaves were first scented with bergamot oil to prevent mould during transit out to sea. Other than that, the history of this famous brew can only be speculated. One legend referring to the naming of Earl Grey suggests that the 19th Century British Prime Minister of the same name travelled to China during a diplomatic mission. While there, Charles Grey, the Second Earl Grey, saved a boy from drowning in a river. Overcome with gratitude, the boy’s father later gifted Lord Grey with tea leaves scented with bergamot oil. It was eventually named in his honour, or at least according to this tale. We say this because Earl Grey (the man, not the tea!) made no known trip to China in his life, and as a result, this story is almost certainly false! In truth, the origins of Earl Grey Tea and its name remain elusive. Interestingly, another theory suggests that although this bergamot scented black tea was named in honour of Earl Grey, it was, in fact, his wife who favoured its unique, complex, and delectable taste. Lady Mary Elizabeth Grey (also known as Mary Ponsonby) was said to cater exclusively to Earl Grey Tea, offering it at her elaborate parties and at large family affairs. According to some admittedly questionable records, Lady Grey loved this brew so much that she eventually asked tea merchants in London to recreate it. Of course, whether there is any truth to this story is, again like most of Earl Grey Tea’s curious history a question of great debate. Origin: Black Tea Leaves from Ceylon (modern-day Sri Lanka). 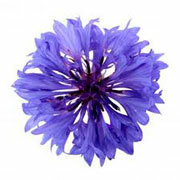 Ingredients: Black Tea, Lavender Petals, Cornflower Petals, and Natural Flavouring. How To Serve: Milk may be considered, although The Kent and Sussex Tea and Coffee Company recommend Versailles Lavender Earl Grey Tea best served black. Tasting Notes: The dominant flavours and aromas of Versailles Lavender Earl Grey Tea are unmistakably floral. This is in addition to malty and citrusy undertones which leave a smooth, sweet, and all-together refreshing aftertaste. Colour in Cup: Ruby coppery liquor, light in tone. Health Benefits: Believe it or not, Versailles Lavender Earl Grey Tea can help to keep those pesky pounds off! The small amount of citrus extract found in this brew can help to stimulate the metabolism. It is important to recognise, however, that the effects of the bergamot oil are minimal. The inclusion of black tea leaves, on the other hand, potentially hold the key to the weight loss ability of this tea. The frequent consumption of any Earl Grey Tea can stimulate and even boost the metabolism. This, in turn, can lead to your body enhancing its ability to burn fat quicker, and more efficiently.